Let the drums roll out! Let the trumpet call! While the people shout! 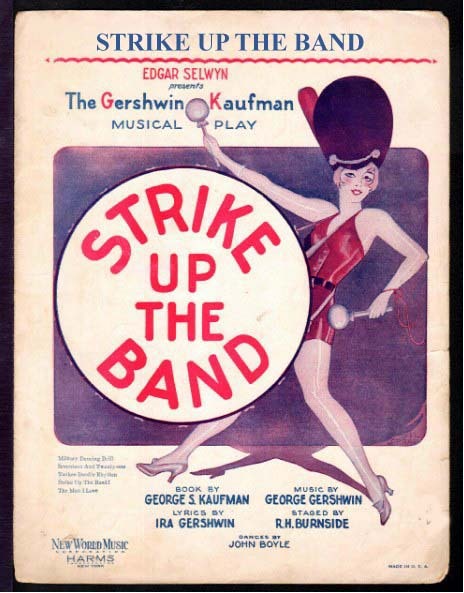 Strike up the band! To the Martial swing, Strike up the band! There is work to be done, to be done! There's a war to be won, to be won! Come on you son of a son of a gun! Take your stand! With our Flag unfurled for a brave new world!